Light, packable, highly breathable, durably waterproof and aero fitting. This is the first piece that brings all those features together into a jacket made for the rider who has to (or choses to) ride in any weather conditions. When GORE-TEX® introduced SHAKEDRY™ technology two seasons ago, Castelli immediately saw the opportunity to make waterproof jackets lighter than ever, and during testing Castelli realized that the jacket is more breathable than ever. This seems like an awesome jacket. Looks nice, has pockets and there are stretch panels for comfort. I found the sizing a bit bizarre though. I am a medium in the Perfetto jersey and that was way too small in this. Trying the large it was better but really tight across the chest, the one area where there are no stretch panels. The Gore version seems to have stretch panels in this area so I may have to give that a go. I'm a big Castelli fan and as good as this product looks it's just not a comfy fit compared to their other tops. I have used this jacket twice now in driving rain for over 5 hours on each occasion and am very impressed with its performance, very breathable and kept me dry. I am 6ft 1in and 76kg and the large size fits me perfectly. The back is long enough and stays in position to cover my rear while riding. The wrists are a snug fit but the stretch panels allow you to tuck your gloves underneath. 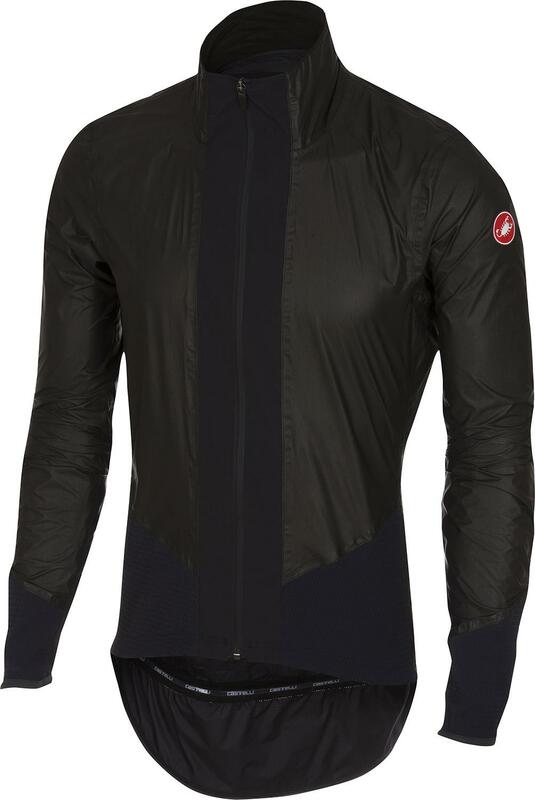 The collar is comfortable and a good fit and although the whole jacket is a very close fit I can still wear a warm winter long sleeved jersey underneath and the shakedry really does work. If it goes on working this jacket will be well worth the money as I like to ride whatever the weather.